A resort that is a dream come true! Fantastic Golf and The luxurious five star hotel with hot natural spring spa, to relax and heal the soul in with delicious restaurant, large swimming pool, sauna room, aerobic room, snooker room, karaoke room, games room, beauty saloon, library room, clinic, fitness room as well as big seminar and party room. 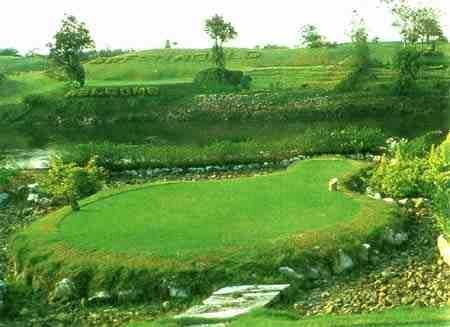 Green World Hot Spring Hotel Resort & Golf Club is not yet in our pool of Golf Courses for orders.